The Vermont Brewers Association T-Shirt that lists all of our members in the shape of the great state of Vermont on the back with the VBA logo on the front. 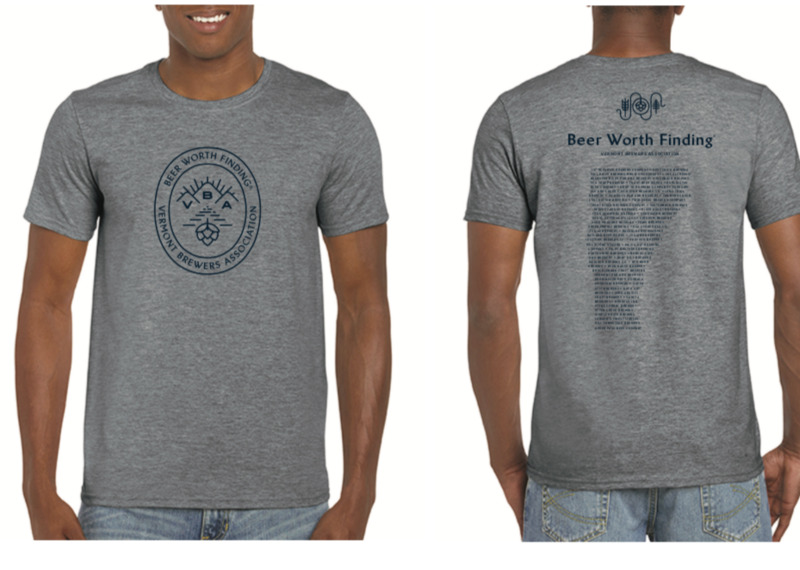 Unable to get your passport stamped at enough breweries to get your shirt? Now you can buy it with just a click of a button. T-shirts are unisex and 50% cotton 50% polyester.